A safety audit is the detailed examination of your company's safety management system to make sure that your safety programs and activities are working according to plan and are helping you meet your company's safety goals. Many safety professionals use inspections and audits as a way to determine areas where their company's safety programs can be improved. 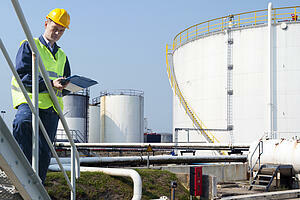 Safety audits are a great tool to assess risks and identify hazards. Internal audits can help you spot problems early, before they become big issues or are discovered by an external auditor. Focus on the system, not the individual. If a step is being overlooked, examine the entire system to figure out why. An audit should never be about assigning blame. It is a way to examine your safety system and processes to make sure they are yielding the desired results. Go on site to make your observations check physical records to confirm whether procedures are being followed. You must verify everything by personally inspecting both the work site and company records. Don't limit yourself to the safety department. Make sure you get input from supervisors, committee members and workers in gathering information during your audit. Be open with your team about the audit process and the benefits of conducting internal audits. Learn from your audit findings. They will reveal strengths and weaknesses in your company's safety management system and give you ideas for improvement. Set a regular audit schedule and measure improvements over time. We recommend once per year. Once those hazards are identified, you need to close the loop by determining what corrective actions are required and following them through to completion. Act on your findings by creating and assigning corrective actions based on your audit findings and monitor those actions to completion.